This magnificent residence in Rosedale embodies country club elegance and style. Views from the four-bedroom home encompass sweeping golf course vistas, lush greenery, mature trees, and exquisitely landscaped grounds. The interiors are a rich blend of refined finishes, masterful updates, open spaces, and a layout that embraces the indoor/outdoor lifestyle. Entertain guests with ease in the combination living/dining room and open the sliding glass doors to the pool terrace for refreshing breezes and the smell of freshly-cut grass from the green. Cook to your hearts content in the open kitchen with granite surfaces, wood cabinetry, stainless-steel appliances, wine chiller, breakfast bar, and eat-in caf. Additional items of note include: office/den, whole-house generator, new carpet and tile, NEW 2018 TILE ROOF, newer A/C, new exterior paint, high quality plantation shutters, and Hunter Douglas blinds. The sumptuous master suite offers his and her custom closets, and a renovated master bath with flat, river rock stone-tile walk-in shower. Experience the ultimate in Florida living on the pool terrace. A heated salt water pool, recently refinished with Pebble Tech, overlooks the golf course. Enjoy grilled salmon, zucchini, and pineapple from the fully-equipped outdoor kitchen with commercial-sized grill in the covered lanai. Membership is not mandatory. 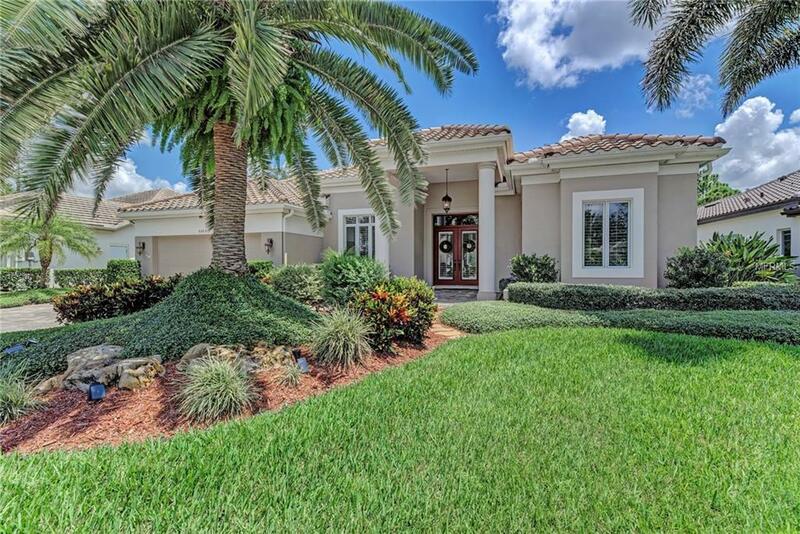 Rosedale is located centrally to Lakewood Ranch and Bradenton with excellent schools, shopping, dining, and beautiful beaches only a short drive away.